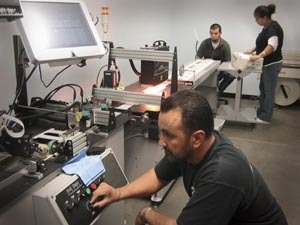 At Dumont Printing, we have created a seamless process by which your project will continue on to our in-house mailing department. Dumont offers complete confidential and secure in-house mailing services with on-site USPS postal certification. If your project requires special fulfillment packaging and handling, we are available to customize a plan for you. Ask your Dumont Printing representative about a customized ordering and fulfillment Dashboard!